Convert a series of DICOM images to a video. 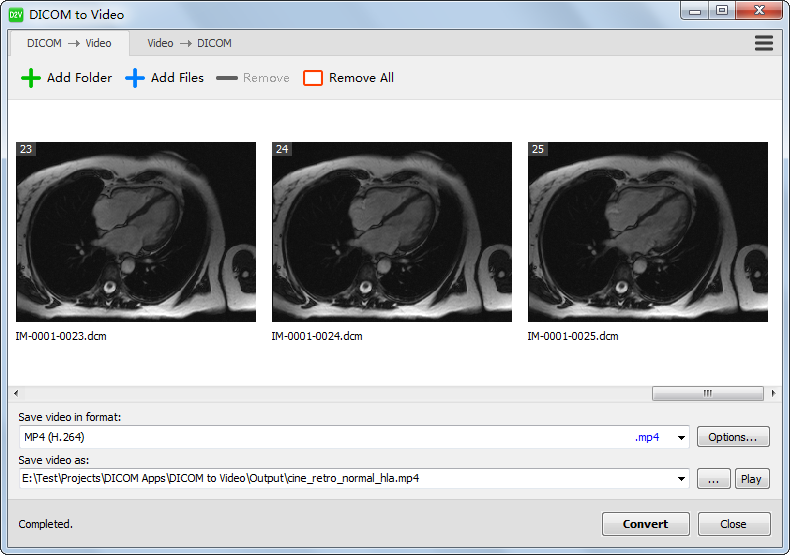 DICOM to Video is a Windows app for converting a series of DICOM images to a video. It can also convert video file to a series of DICOM images. Support MP4, FLV, AVI, WMV, MOV, 3GP, MPEG-2, MPEG-1, and other popular video formats. Allow you to custom output video resolution and frame rate. It can also convert video file to a series of DICOM images.